The Maharashtra Congress Committee, meanwhile, launched 'Project Shakti' today which will enable voters to connect with the party and party president. The Congress’ Maharashtra in charge, Mallikarjun Kharge, on Sunday hit out at Prime Minister Narendra Modi and said that a “chaiwala” could become PM of the country because the party preserved democracy. “Prime Minister Narendra Modi has been asking, at every function, about what the Congress has done for the country in the past 70 years. A chaiwala like him (Modi) could become prime minister because we preserved democracy,” Kharge said. He listed out various schemes of the BJP government and alleged that it had failed to perform on all fronts. “There has been consistent attacks on the character of Indira Gandhi, Rajiv and Sonia Gandhi. It is a deliberate attack by the BJP. The Congress is a family and we all are its members,” he said. “Modi speaks about the Emergency that happened 43 years back, but what about the unproclaimed Emergency in the last four years? Farmers are committing suicide, agricultural schemes are failing, farmers are not getting new loans and trade is on the slow track,” he claimed. 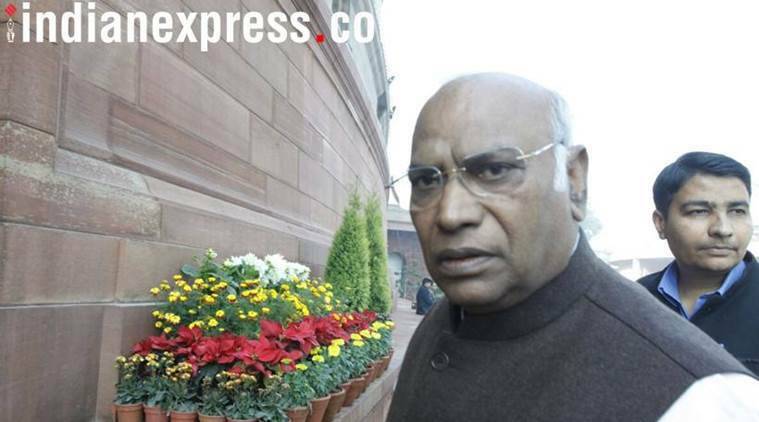 Hitting out further, Kharge said, “On the other hand, the government’s expenditure on advertising is unstoppable. ‘Acche din’ will come into the lives of people once the Modi government is dethroned.” The senior Congress leader from Karnataka, in the morning, reviewed party functions and asked workers to forget differences between themselves. “Come together, fight together. We will definitely win the Parliament polls if the Congress wins in Maharashtra. Victory at the Centre depends on Maharashtra,” he told party workers. A party leader who attended Kharge’s meeting said that the Congress would hold protests in all six divisions of the state in the last week of August or early September and Rahul Gandhi was likely to participate. “The Congress president may spend two days at each of the six divisions,” the party leader said. He quoted Kharge as saying that the Congress was trying to form a grand alliance against the BJP and it would also persuade the Left parties to join it in order to avoid a split in secular votes. The Maharashtra Congress Committee, meanwhile, launched ‘Project Shakti’ today which will enable voters to connect with the party and party president. “Voters have to send a text message with their voter identity number to a dedicated number (9928843010). This will help the party get information about its booth-wise strengths and weaknesses,” said Gokul Patel, national convener of Project Shakti. Patel added that it would not be asking voters to share their Aadhaar numbers since the Congress wanted to respect their right to privacy.